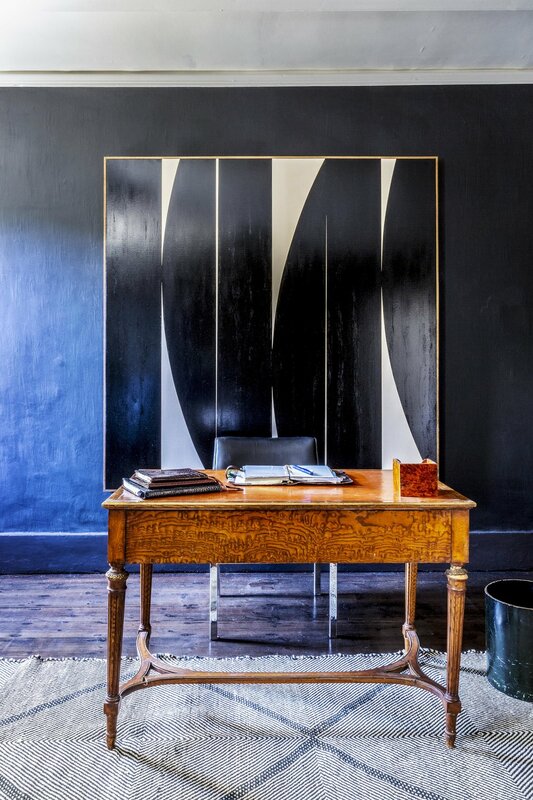 Blyth-Collinson Interiors is a boutique interior design business based in Notting Hill, London. They take pride in designing inspiring spaces with a lively approach to colour and a sophisticated sense of style. Each home reflects their clients’ individual tastes and passions while embracing unique architectural features. Providing the highest quality design services to both private residential and commercial projects in the United Kingdom and abroad, Blyth-Collinson Interiors has been named in the prestigious 50 best Interior Designers in Country & Townhouse. This recently completed project by Blyth-Collinson Interiors in Kensington was a complete refurbishment of a London town house. Newly married clients living abroad asked for a residence that would be ideal for entertainment, refined and elegant but also practical for a young family. With a background in fashion, the clients specified a combination of modern comforts with the feel of a long-lived-in family home. They favoured using bold colours and sophisticated detailing while at the same time creating a calm oasis for their family. In 2018, Blyth-Collinson Interiors was engaged by a London couple to update a Capability Brown designed house in Oxfordshire which had recently been unoccupied and sadly, somewhat neglected. 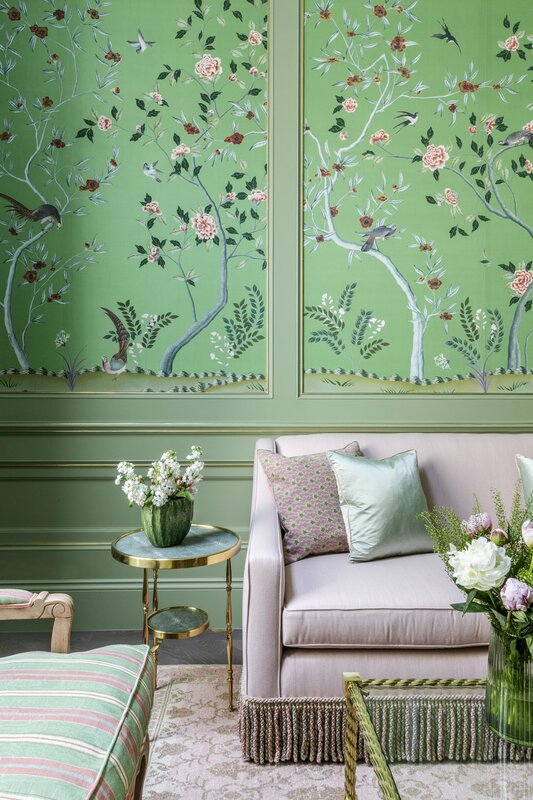 Saskia and her team provided a much needed boost of energy to the tired interiors; enlivening each room with colour and warmth to show-case the clients’ eclectic antique and art collections, which reflect their unique interests and their international lives and travels. Specialist paint techniques were employed so that every room tells a distinctive story. 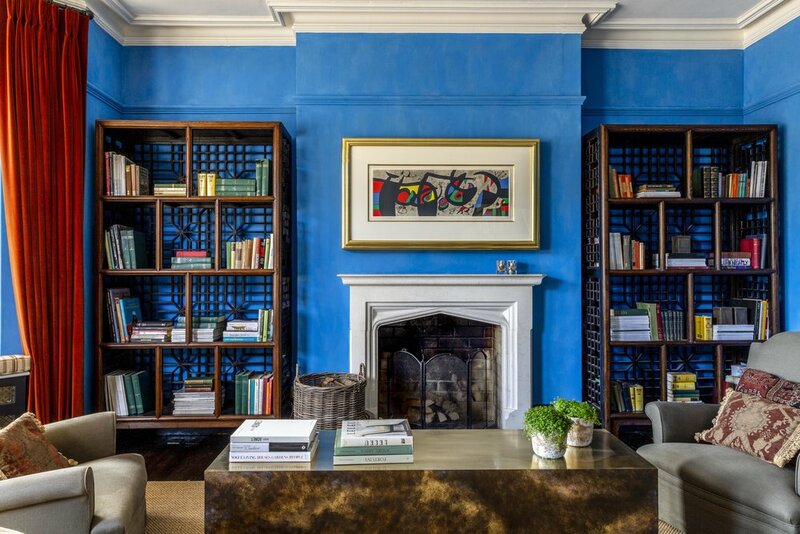 Sumptuous soft furnishings combine with wonderful carpets, art, beautifully bound books and sculpture to invigorate this lovely home with flair and a certain sophisticated, bohemian aesthetic. The end result is both stimulating and surprising – a successful blend of influences and a culmination of the talents of Saskia and her team in creating a truly unique, gracious country residence.